We often hear parent’s say that their kids only eat their favorite hotdog or burger and would not even dare glance at vegetables and you’re probably wondering how on earth can you raise brain healthy kids who feed on this kind of diet. If you one of the parent’s with this challenge, then this episode is for you. Be sure to listen to the whole episode as we discuss how you can resolve the daily table battle and win the game. Donny Osmond:	Hi, I'm Donny Osmond, and welcome to the Brain Warrior's Way, hosted by my friends Daniel and Tana Amen. Now, in this podcast, you're going to learn that the war for your health is won between your ears. That's right, if you're ready to be sharper and have better memory, mood, energy, and focus, well, then stay with us. Here are Daniel and Tana Amen. Dr Daniel Amen:	Hi, I'm Dr. Daniel Amen. Tana Amen:	And I'm Tana Amen. 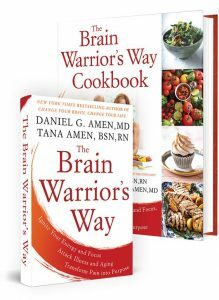 Dr Daniel Amen:	Today, we're going to talk about raising brain healthy children. When kids have significant problems, when you really do effective parenting and they still have three hour tantrums or they can't do well in school, they may have ADD, they may have a brain injury. To that point, bringing them to a place like ours can just be critical and lifesaving. We really want you to think about what you feed them, about the example that you give them. Love their brains, protect their brains, can be so important. Dr Daniel Amen:	Putting them on a milk free, wheat free diet. Tana Amen:	And all of that. 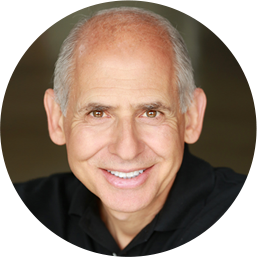 Dr Daniel Amen:	Has been miraculous for some kids. Tana Amen:	I have all that information in the book, "Healing ADD through Food." We've got our whole elimination diet. Its really interesting. I speak to a lot of parenting groups and they will, the number one thing, almost every mom in the room raises their hand, "but my kid won't eat those foods. Like they'll only eat, you know chicken nuggets." And I have to tell you, I'm astounded. Dr Daniel Amen:	I mean you actually have a healthy form of chicken nuggets. 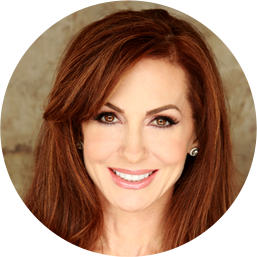 Dr Daniel Amen:	This is where the red hair comes in. Tana Amen:	Right this is where the authoritarian part of me and the red hair comes out. I'm like, "You're kidding me, right? Like who's the parent in the house? Your kid will only eat chicken nuggets. Is that true. If your kid were starving and there was nothing left on the planet, chicken nuggets is all they're going to eat." And somewhere along the line I feel like as mothers, we've been programmed to think, that if we do not get our children to eat four times a day, we're going to do whatever we have to. Come Hell or high water, to make that kid eat four times a day. Even if we're feeding them soda, nuggets, burgers, hot dogs. It doesn't matter. Dr Daniel Amen:	Processed food. Tana Amen:	Were going to be bribing them. Ice cream. As long as we get them to eat four times a day, somehow, okay now we've done our job. And that's ridiculous. Because when you give your kids bad fuel, you don't get a positive outcome. Like my husband often says, would you feed a million dollar racehorse junk food? Well, only if you were an idiot. Right? So, when I hear parents say this, I hear these moms say this, "Well, I have to give them that, because it's all they'll eat." I usually just step back and go, "Okay, really?" Dr Daniel Amen:	So, it's not the end of the world, if a child goes to bed without dinner. Dr Daniel Amen:	So, only buy healthy food for home. Tana Amen:	My house is stocked with healthy food. But I also know what her favorite foods are. So I have healthy alternatives for chicken nuggets. I have healthy alternatives for coconut shrimp. I have healthy alternatives for all of her favorite foods. Now if she chooses not to eat that, Çést la vie. Dr Daniel Amen:	Wow. And I think one of Tana's best gifts is taking really healthy food and making it taste amazing. One of my favorite stories is when my grandson Elias, very picky eater, and his mother Brianne was just freaked out. She couldn't get him to eat so she was constantly stressed out about that. Which of course made him more picky and Tana was making one of her recipes called avocado gelato. So, Eli was over the house, and I took just a little bit of it and put it on his lips and he got a big smile, and then he had a big helping, and then he went home with avocado gelato. My daughter texted me a picture of him with chocolate all over. And it was good. Tana Amen:	And oh, by the way. This is made out of avocados, cacao, almond milk. I mean it's like, it doesn't get much better. Dr Daniel Amen:	So, there are alternatives. The second thing is bonding. And bonding really is two things. It's time, actual physical time, and listening. Listening is often not natural, and so what they teach therapists to do is something called active listening. So you say something, and I don't just jump in, I listen to what you're actually saying and then repeat that back. It's so critical for you. If you're one of those people that said "Oh, my children will never talk to me." You might not be listening well enough. I've had so many parents give me their teenagers to treat, and they go, "Oh, they said they weren't going to talk to you." And I go, "I know it's really hard." And usually I can't get the kids to shut up, because I'm really good at listening. So active listening is just so important. Basically when they say something, rather than respond, rather than give them all of your wisdom, listen to what they're saying and repeat it back. And also listen for the feeling behind what they're saying. Repeat that back as well. Then third, rules. I think rules are really important. Societies have rules, businesses have rules, you should have rules at home. We've posted them for a long time. Tell the truth. We treat each other with respect. Do what mom and dad says, the first time. Put things away, you take out. I mean simple things. Not more than eight. I had one OCD patient, obsessive compulsive disorder patient, that actually posted 108 rules on the refrigerator. And then notice what you like, more than what you don't like. I think that's just so critical. Tana Amen:	And you have to have fun rewards and celebrations. So, it can't just be all about parenting. It's got to be, look when things are going really well, let's go celebrate. Let's do something fun. Dr Daniel Amen:	We're going to do a lot more shows on parenting. Raising brain healthy children, is just critical. It's the next generation. It starts by you living a brain healthy life. So write us a comment on what are the things you do, that you just feel really effective with your kids. What are that things you could do better. Send us a video. If you're really struggling with your child, call the Call Center. See if bringing the child in for an evaluation wouldn't be in their best interest and ultimately in yours and your marriage's best interest. We know how hard the tough kids can be on relationships. Donny Osmond:	Thanks for listening to today's show, the Brain Warrior's Way. Why don't you head over to brainwarriorswaypodcast.com. That's brainwarriorswaypodcast.com, where Daniel and Tana have a gift for you just for subscribing to the show. And when you post your review on iTunes, you'll be entered into a drawing where you can win a VIP visit to one of the Amen Clinics. I'm Donny Osmond, and I invite you to step up your brain game by joining us in the next episode.